If you have been struggling with stubborn fat or difficult bulges that are resistant to both diet and exercise, you are not alone. One of the ways to battle this type of weight loss struggle is by freezing your fat in order to slim down. Before you invest in a home device or medical procedure, make sure that you know everything that you should about the processes of freezing fat in order to slim down. Fat-freezing should be your ultimate solution to your weight loss. To begin with, one of the most popular ways to get rid of that hard-to-lose fat is through a process called CoolSculpting. CoolSculpting is a fat-freezing treatment that does not require any invasive surgery. It is performed in your doctor’s office by a trained technician. The process works by using a controlled cooling method to freeze stubborn fat from your tummy, love handles, thighs, and even your upper arms. It can also be used to help get rid of a double chin. CoolSculpting can take anywhere from 30 minutes to an hour for the actual procedure. The doctor will have already identified the specific fat bulges that should receive the treatment. 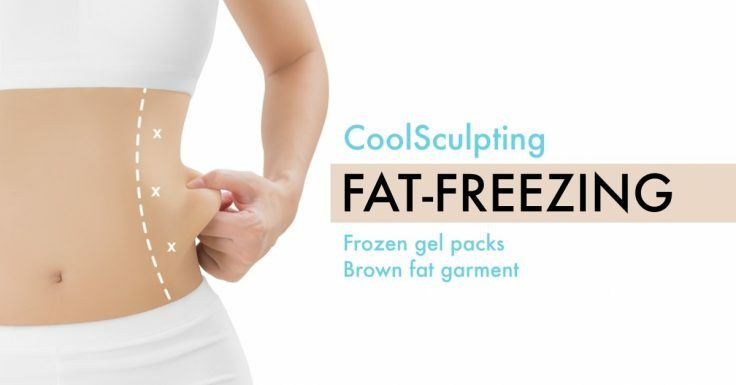 The CoolSculpting tool will pull the fat into cooling panels and remove heat from the fat cells. Over the course of several weeks following the procedure, your body will begin to process and shed the fat cells as the cells die off. Most patients report that they begin to notice the results about three weeks after the procedure, but it can take about two months before you will see the procedure’s final effects. Some products that are out on the market can give you the impression that you will be able to achieve the same results at home that you can get from CoolSculpting. You might have seen products that use cold and ice to freeze your fat. These products include clothing items, such as shorts, that use frozen gel packs on your belly, back, and thighs. The products do not, however, use the same technology that CoolSculpting uses. As CoolSculpting uses a special tool, you cannot get that same result through clothing at home. Another product you might have seen is called a brown fat garment that is advertised as activating brown fat to lose weight. The idea is that your metabolism will be stimulated and you can inhibit your fat products. There have been many scientific studies performed to see if there is anything valuable from such a procedure, but all results have been inconclusive, meaning that there is no way to show that the treatment does anything at all. These products are, unfortunately, mostly gimmicks, leading you to spend money on methods that will not give you the results that you are looking for. The only way to free your fat safely and effectively is to schedule a visit with a CoolSculpting professional who will be able to use proven science and technology to help you get rid of that stubborn fat. To get started with your CoolSculpting journey, call a CoolSculpting professional to go in for a consultation. Together, you will be able to make a plan that will lead you to the fat loss success that you have been looking for.